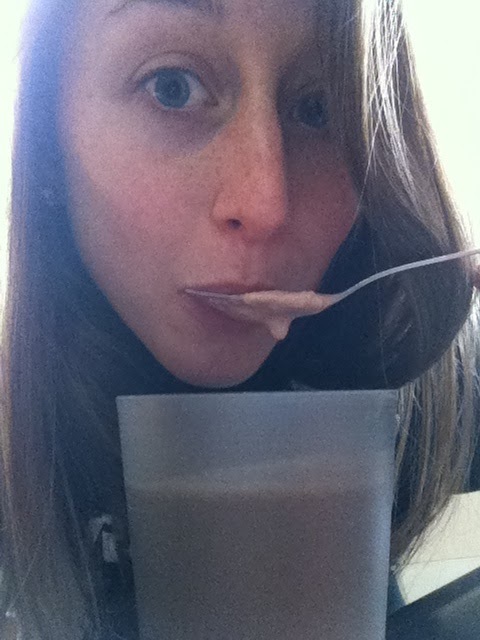 As you know, I totally love Muscle Milk. 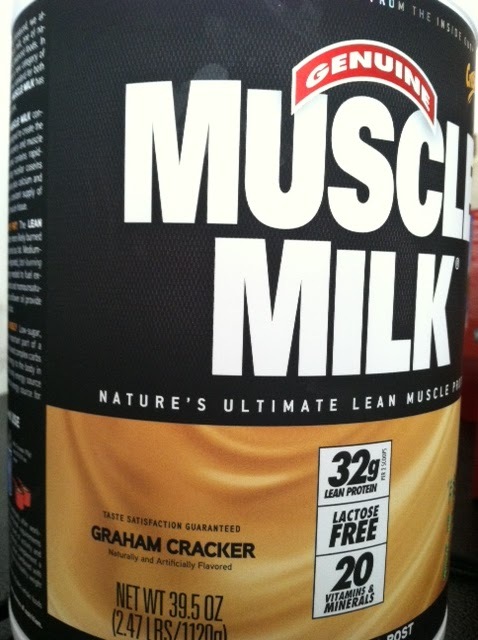 I was so afraid to try it at first (about a year ago) because I didn’t want to “bulk up.” Last year, I only knew guys that drank Muscle Milk, but boyyy has that changed this year! All of my pageant friends drink Muscle Milk, hence how I was persuaded into trying it. Let me tell you: this was life changing. My tastebuds have never been happier. After a year of enjoying it after workouts, I am clearly not “bulky” and still have tons of toning to do! Therefore, do not be afraid as I was! But now…. It tastes even more heavenly. My friend Steph suggested tossing in a half frozen banana into it. I thought this sounded weird at first, but it is so delicious! It makes it creamy, and Dairy-Queen-Milkshake-style. Usually, I put the first half of my “daily-banana” into my unsweetened oatmeal for breakfast, and the other half goes sliced-up into the freezer for my post-workout protein shake! You can definitely switch up these ingredients (I experiment every day) but this will surely satisfy your tastebuds... and sweet tooth! I added in the cocoa powder because I have been craving chocolate and love a banana-chocolate combo. Plus, it only adds 10 calories and 0 grams of sugar. HECK YES. 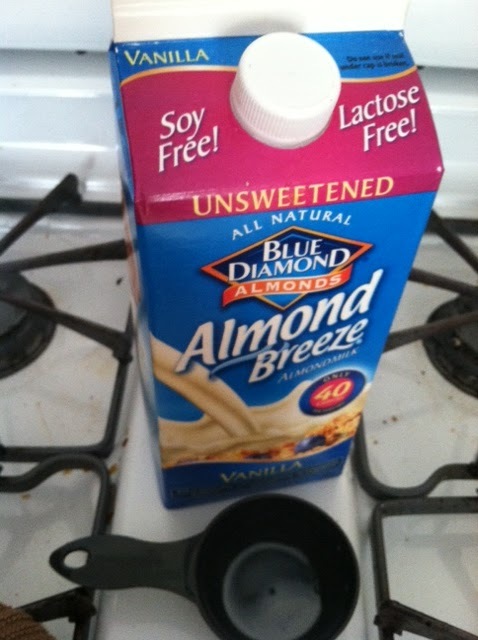 Throw it all in the blender with the ice cubes and frozen banana on the bottom, and add more or less almond milk as needed (depending how thick you like it). If it isn’t sweet enough for you, try adding ½ t. Truvia for an actual sweetener with no calories (NO SPLENDA). This has been the only way I’ve found I can tolerate the plain non-fat greek yogurt. 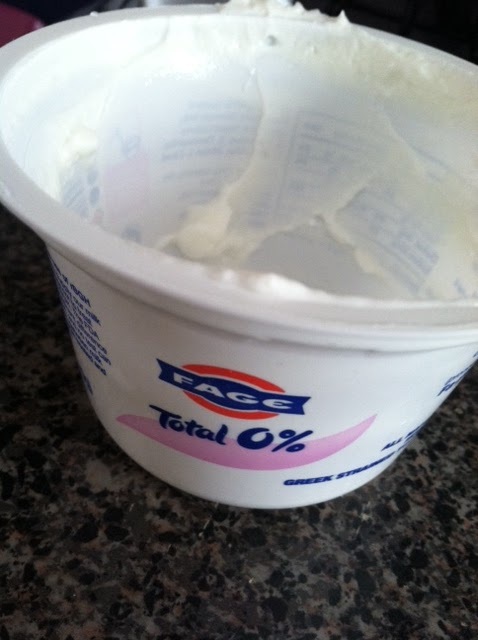 Mixing it with the banana and Muscle Milk definitely covered up the taste of the bitter plain greek yogurt… yet it added 17g of PROTEIN! Yay! 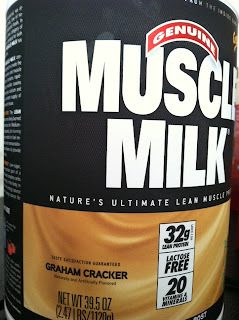 I have been using the graham cracker muscle milk, but you truly can use any flavor! 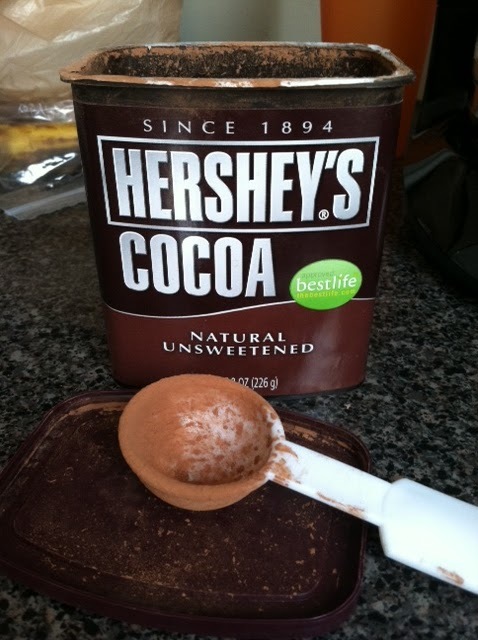 You could add some all-natural peanut butter, cinnamon, or try it without the cocoa powder. Mix it up! 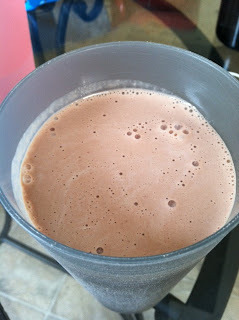 Today I didn’t have any greek yogurt, so I just did the Muscle Milk, Almond Milk, Banana, and Ice Cubes. It worked fine without yogurt! Have fun, and get ready to enter Heaven on Earth! Girls are always afraid of "bulking up" but in tuth, they don't have the hormones to do it naturally! Unless they take steroids or spend YEARS lifting high weights, they will maintain a feminine figure. Muscle milk is great. 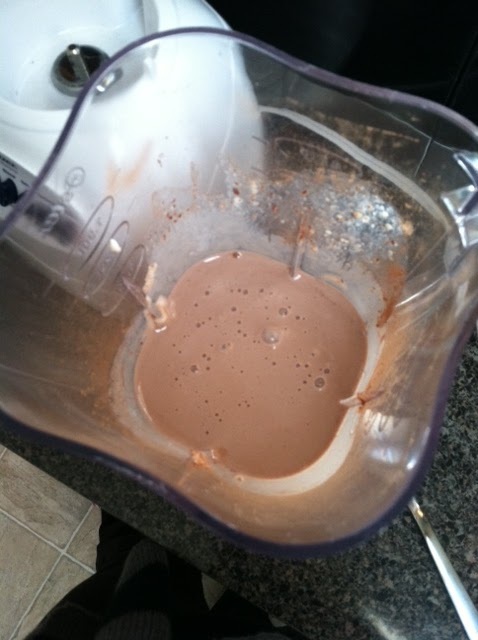 You can add lots of goodies to your shake. Flax seeds, chia seeds, Nutella, spinach (don't taste it, but get the benefits), any fruit (pop it in the freezer overnight), cinnamon, honey, instant coffee powder (I add that to my oatmeal too), orange juice (or any 100% juice), applesauce, yogurt. Sometimes I even add stuff like raisins, cranberries, or a scoop of Special K cereal. They say protein powder is by far the most affordable by-the-gram protein source you are going to find. And it sure beats eating tuna from the can every week! I want to save money. I will certainly try this. Thanks for giving me information about protein shake. Your blog is very helpful and appreciable.Healthgenie.in provides wide ranges of Home care, Wellness, Nutrition (creatine supplements), Baby Care, Personal Care products. Thanks for sharing your recipe, Morgan! I saw Hershey’s and I was sold. 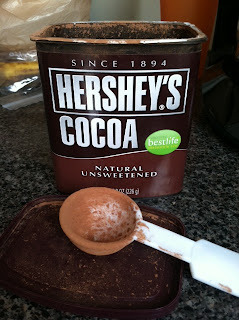 Chocolate has always been a woman’s weakness, but I love that this one’s a healthy alternative. The best part is that the nutritional breakdown fits right into my diet. I’m definitely trying this!